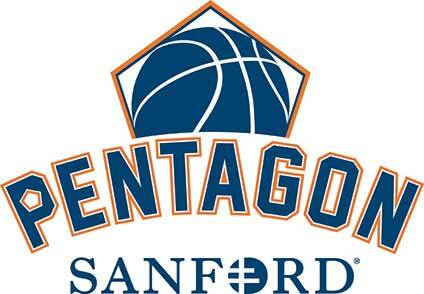 All basketball enthusiasts are encouraged to visit the Sanford Pentagon in Sioux Falls and take time to inspect the varied historical displays which are presented there by the South Dakota High School Basketball Hall of Fame. Our primary exhibit area is located on the ground floor near the Pentagon’s main entrance. Additional items of interest are positioned along the corridors of the second floor. 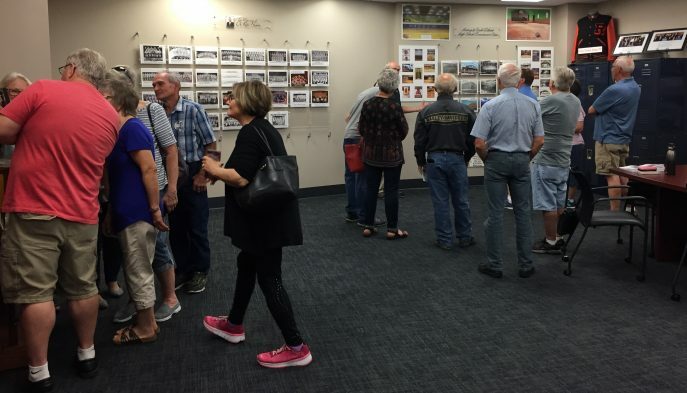 Tours also include a stop in the memorabilia-filled Hall of Fame Room 2110, where in the photo above SDBBHOF President Bob Swanhorst conducts a recent group tour. If your school, church, civic or social group would like a free tour guided by a Hall of Fame official, or if you wish to schedule a presentation by a member of the Hall of Fame speaker’s bureau who will come to address your group, contact Executive Director Dave Wagner by email at dlwagner@tnics.com or by telephone at 605-467-3010. Eleven state championships and a total of 508 victories. That is what Parker native Kelly Flynn (left) achieved during the 27 years he guided the girls team at South Sioux City, Neb. Then he left the sideline, stepping away from coaching following the 2011 season. Flynn returns to the Nebraska basketball scene this year. He is the new girls coach at Fremont High School, which is located about 35 miles northwest of Omaha. A University of South Dakota graduate, Flynn was an all-state player as a Parker senior in 1976. During his career with the Pheasants he played for legendary coach Gayle Hoover. Flynn led South Sioux City to 16 appearances in the Class B state tourney. His overall record with the Cardinals was 508-128. Among the 11 state championships were six consecutive from 2000 through 2005. Flynn’s team during 2001 was ranked No. 1 in the country by USA TODAY. Two members of the South Dakota High School Basketball Hall of Fame – Jim Iverson and Chris Divich – are included in the new book ‘Kansas Basketball: The Evolution of Basketball in the Nation’s Heartland’. Platte native Iverson is mentioned as a starting guard on the Kansas State University team that fell to Kentucky 68-58 in the NCAA championship game in 1951. Iverson was a junior who averaged 8.9 points per game for the Wildcats. The book’s author, Jerry Draney, was a Kansas State teammate of Doland product Divich in 1953 before Divich transferred to play for the University of Kansas. Divich wrote an endorsement of the book on its back cover. Not only about Kansas high school and college basketball, the book also provides an analysis of the history of the game. Featured prominently is James Naismith, the inventor of basketball who became the first coach at KU in 1898. The hard-cover book was published by Mascot Books in Fairfax, Va., and will be available in bookstores soon for $19.95. In commemoration of the South Dakota High School Basketball Hall of Fame’s 10th anniversary in 2019, the organization will host a special Hall of Fame Game to be played Jan. 5 at the Sanford Pentagon. 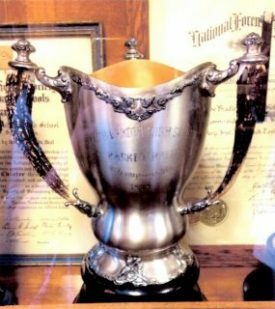 The Hall of Fame Game will match the two opposing teams, the Redfield/Doland Pheasants and Lake Preston Divers, which met in the inaugural finals 106 years ago at the old Daum Opera House in Huron. South Dakota was introduced to state high school basketball tournaments in 1912. The first such event was understandably a rousing success. The eight participants were Arlington, Centerville, Lake Preston, Madison, Miller, Pierre, Redfield and Salem. In the championship game Redfield defeated Lake Preston 33-25. The South Dakota High School Basketball Hall of Fame has published its 2018 Spring Newsletter. It was mailed May 3. On the cover of the free newsletter is an introspective story that closely examines how the popular state tournament has changed through the decades and the reasons and causes behind those changes. Our readers will also learn about some unique aspects of the gymnasiums that dotted the state’s landscape in the 1950s. 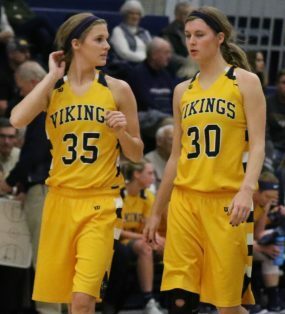 Nearly every school in the state, at least once in its basketball history, has featured a set of talented twins. Some of those standouts have also went on to outstanding collegiate careers in South Dakota. Our newsletter will reflect on some of the best. We publish two newsletters each year, in the spring and the fall. We mail copies to more than 1,000 readers across the nation. 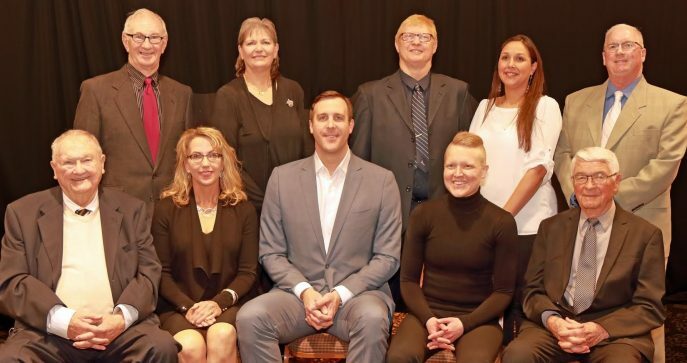 The largest crowd in the nine-year history of the induction banquet welcomed 13 new members into the South Dakota High School Basketball Hall of Fame on March 24 at the Ramkota Hotel Exhibit Hall in Sioux Falls. Former stalwart players who comprise the Class of 2018 came from high schools located across the state. They represent six different decades including the 1940s, 1950s, 1960s, 1970s, 1980s and 2000s. The Hall of Fame board of directors will soon begin the important process of evaluating nominees for the Class of 2019. To see selection criteria, and to download an official nomination form, click on Nomination Form. 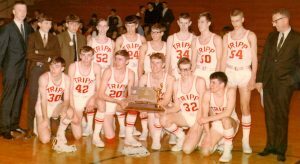 The undefeated Tripp High School Wildcats dominated Class B basketball during the 1967 season. The Wildcats marched past Herreid 72-46 in the championship game of the state tournament that was held at the Sioux Falls Arena. Tripp finished the season with an impressive 28-0 overall record. Because of their outstanding accomplishments the Wildcats were recognized by the South Dakota High School Basketball Hall of Fame as its Team of Excellence for 2018. The ninth annual Hall of Fame banquet was held March 24 at the Ramkota Hotel Exhibit Hall in Sioux Falls. Inducted were 13 former greats from across the state. During the banquet the 1967 Wildcats were honored. The names Russell “Sox” Walseth and Jim Iverson resonate with everyone who has ever followed basketball in South Dakota. Among the greatest players and most accomplished coaches in state history, Walseth (left) and Iverson (right) are being recognized in a new display that has been added to the South Dakota High School Basketball Hall of Fame at the Sanford Pentagon. Walseth was a four-year starter at Pierre and led the Governors to the Class A state championship as a senior in 1944. He was then a starting guard for the University of Colorado. He coached South Dakota State University from 1954-56, compiling a 31-18 record, before returning to Colorado. As coach of the men’s team for 20 seasons, Walseth guided the Buffaloes to three Big Eight Conference championships and was named Coach of the Year in the Big Eight five times. He also served three successful seasons as coach of the Colorado women’s team. Iverson played in four consecutive Class B state tournaments before graduating from Platte in 1948. He scored a record 251 career points in state-tournament play. While at Kansas State University, he was a starting guard for the Wildcats. Iverson coached South Dakota State to the NCAA College Division national championship in 1963. His career record while at SDSU was 142-65 and his Jackrabbits won the North Central Conference championship five times. The South Dakota High School Basketball Hall of Fame sincerely appreciates all of our readers who responded to our request in the 2017 Fall Newsletter. We asked for your opinions about our newsletters and for your suggestions concerning future content and direction. We were gratified by the large number of replies which we received. The thoughts expressed in each email and letter were read and will provide us with insights as we plan for the future. Your responses confirmed our belief that South Dakotans genuinely love basketball. And that those people who grew up here but now live in other states cherish their South Dakota basketball memories and heritage. To all of you who responded, we thank you for your enthusiasm regarding our newsletters and for your interest in the Hall of Fame.